Much like your blood pressure, your eye has pressure too. When this intraocular pressure (IOP) exceeds its healthy pressure level, it would damage the optic nerve. This can result in decreased peripheral vision and if left untreated can eventually lead to blindness. Glaucoma affects three million Americans today and is the second leading cause of blindness in the US because only half of the people know they have it while the others are left untreated. Generally, there are no signs that one is developing glaucoma until vision loss starts occurring, which is why for people who are 40 years and older, it is important to have annual eye examinations. Your ophthalmologist can detect and diagnose high IOP before it progresses to optic nerve damage and vision loss. Chronic Glaucoma is often referred to as “the silent thief of sight” because there are no warning signs that there is anything wrong with your vision. This form of glaucoma happens when the eyes drainage system becomes blocked which subsequently creates a rise in the IOP. Your peripheral vision would gradually unnoticeably decrease and by the time you notice it, permanent damage has already occurred. If left untreated you IOP would remain high and the destruction would progress until tunnel vision develops where you will only be able to see objects that are straight ahead. 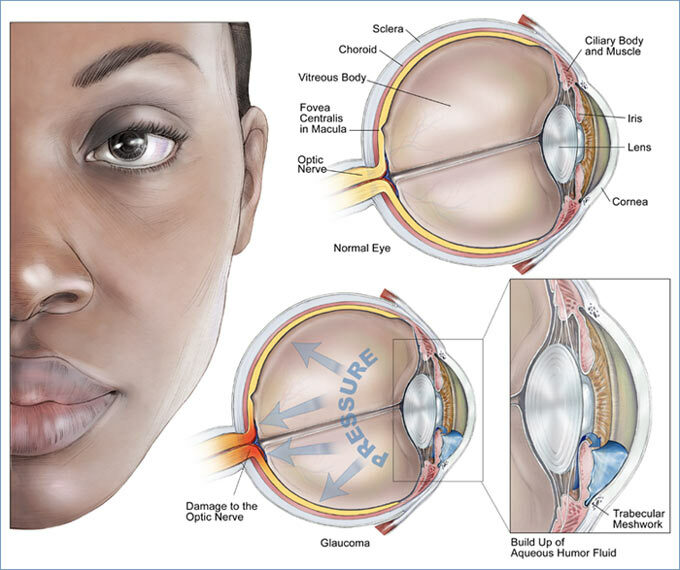 Angle-Closure Glaucoma or Closed Angle Glaucoma, most commonly occur in Chinese or Asian descent, produces sudden symptoms such as severe eye pain or headache accompanied by nausea, blurred vision, and haloes around lights. There are no cures for glaucoma, however there are several treatments that can prevent further or stop vision loss by controlling the number one risk factor of glaucoma – high levels of IOP (intraocular pressure). In most patients, the primary method of controlling high unsafe levels of IOP is thru eye drops. Sometimes in requires several medications that complement each other to reduce the pressure adequately. Laser therapy and surgery are only used when medication treatment fails to lower the pressure to a healthy pressure. 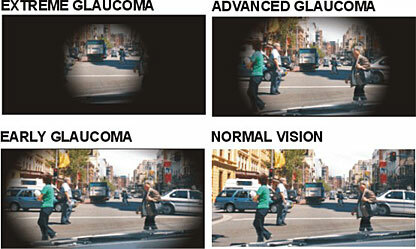 The objective of any of these glaucoma procedures is to allow the fluid to drain from the eye more efficiently.